Wow what fab weather we’ve been having lately! It certainly feels like there’s been a shift in seasons. Now we’ve got to make the most of it and head to the park to enjoy the sunshine, but not forgetting to bring the toys too! 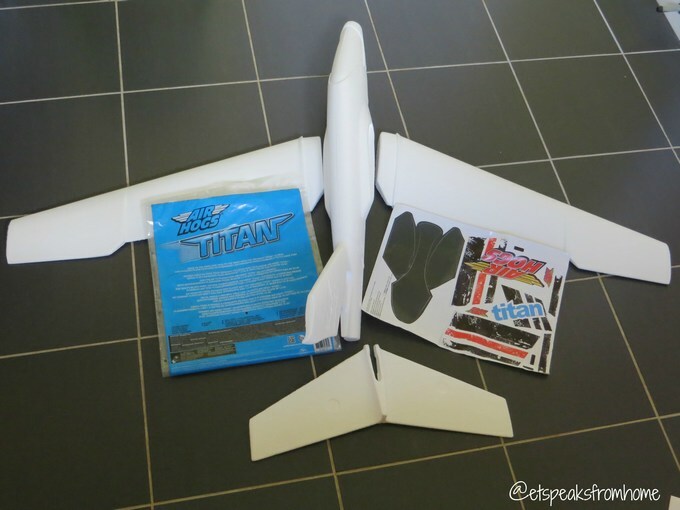 Or maybe with this Air Hogs Titan! This massive plane with a 1.2m (4ft) wingspan is made from durable Styrofoam. This is suitable for ages 5 years and over. It is easy to assemble with two wings and the stabilizer. Check out my video where I show you how easy it is to assemble and how we launch it. It also comes with stickers to stick on the plane. As the materials are made from Styrofoam, the stickers do come off easily. After a few trips down the park, we have lost quite a few smaller stickers. Of course, if you prefer, stick your own or even draw on it! It does not require batteries and flies with a simple thrust of your arm! There are two flight modes – Soar or Stunt – fix the tail one way for distance, then flip the tail and perform impressive acrobatic stunts! This is suitable for the outdoors like the park, beach etc. My son did try to launch it at home and managed to break the stabilizer tip which I then used masking tape to tape over. 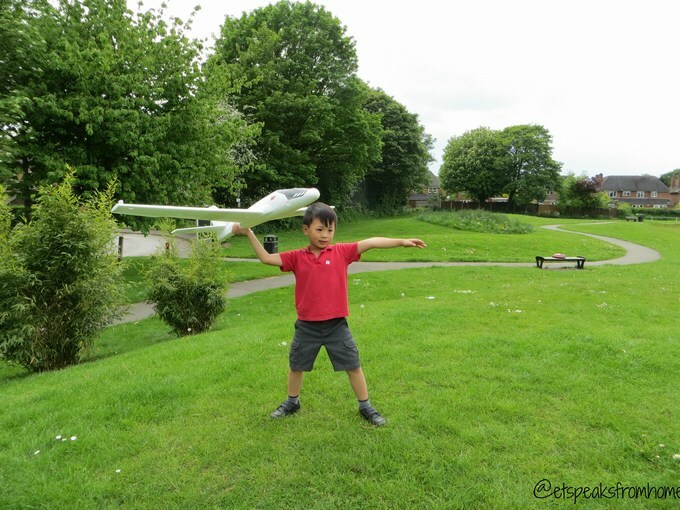 We bought it to the park after school and most of my son’s friends were very impressed and wanted to have a go too! They were so fascinated with it! They all took a while to understand how to launch it and not against the wind direction! Later, they all stood on a small mound to launch the plane which proved to be much easy to fly the plane further and also ensured a better landing. But after a few plays, it does feel like the plane has been in the wars! A number of bits have snapped off and we were unable to find them to fix it back with tape. I am slightly disappointed with it but it hasn’t affected the flying so far. If you would like to redesign your plane, check out YouTube for tutorials. There are plenty of videos to learn from! Overall, we were very impressed with the flying the plane and the children had lot of fun with it. It helped them to understand how environmental factors will also affect the flight/trajectory.